Now That God Is Popular Again, What Do People Say About Him? Interest in the nature of the Supreme Being is growing again, especially among people who had turned away from conventional religious approaches. God is "in" again, but what do we know about him? In this remarkable reference work, Constance Victoria Briggs, author of the popular The Encyclopedia of Angels, offers a stimulating and inspiring review of the thoughts of hundreds of scholars, religious authorities, mystics, writers, saints, prophets, philosophers, poets--even celebrities--on the nature of God. "Although we can't question God, we can evaluate the information contained in these sources and draw our own conclusions about who and what God is," she says. "It's my desire to portray God as a multi-faceted spiritual entity whose characteristics have shaped our lives since the dawn of mankind." In a highly accessible A-Z format, Briggs presents hundreds of short informative entries from diverse traditions and beliefs. From Arabot, the Seventh Heaven in Judaic lore, to Thomas Jefferson's beliefs in God, from Brahma, Hinduism's chief deity, to Mulungu, the Supreme Being in some East African beliefs--you'll find it all in this revealing tour through the world's beliefs. 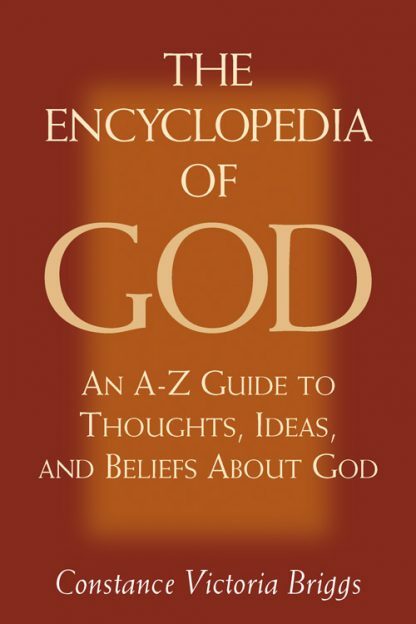 Among the riches in The Encyclopedia of God, you'll find a chronicle of the acts of God, past and future; God's relationship with the saints, prophets, and other holy men and women; God's relationship with the angels; the beliefs about God of world religions and ancient cultures; and new age thoughts on God. All entries are meticulously cross-referenced to give you quick access to related topics.